Thang Hen lake was recognized as a national scenic spot according to Decision No. 53/2001/QD-BVHTTDL of December 28th 2001 of the MOCST. The Thang Hen (bee-tail) lake system has 36 natural lakes, each of which is several hundred meters apart. 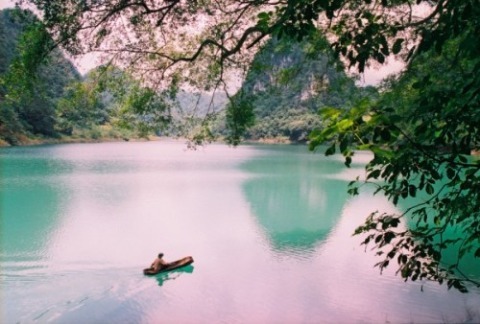 All the lakes are located in a large valley bordered by Quoc Toan Commune (Tra Linh District) and Ngu Lao Commune (Hoa An District). Thang Hen is the largest lake nearly 2,000m long, 500m wide and 40m deep, surrounded by old forests and karren landforms alternating with rugged cliffs. 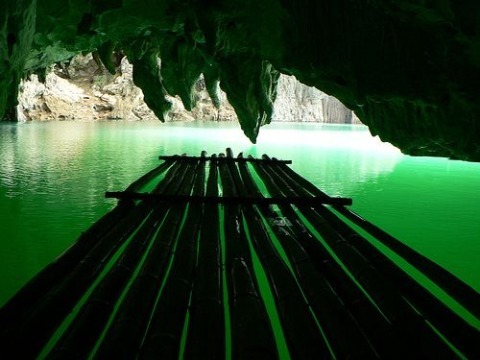 The system of Thang Hen Lake and underground river caves are developed in limestone of the Bac Son Formation (C-Pbs), at the intersections of several fault systems. The lakes are located on the valley floor surrounded by peaks connected with each other by low saddles, forming a typical karst peak cluster-depression landscape. 54m below the modern surface. The karst hydrologic characteristics in Thang Hen lake system are very special in which Thang Hen Lake plays an important role, due mostly to the fact that the lakes are inter-connected and there are several cave levels.In addition to the Thang Hen Lake System and the peak-cluster depression landforms, other interesting geological features are found such as fossils (crinoids and fusulinids). Also the flora and fauna here are largely in natural state. 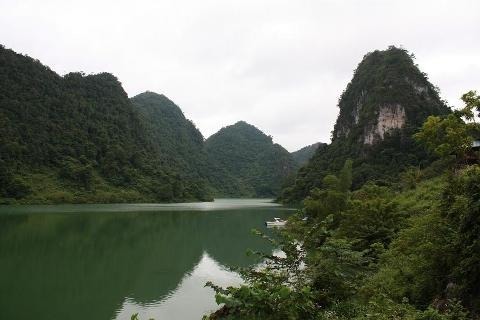 Thang Hen Lake System is among the treasures of the Cao Bang Geopark and of international significance as a geosite.